When Apple detailed its new mobile payment system, one of the key elements was its reliance on Touch ID for security. So when the company casually mentioned its new watch also takes advantage of Apple Pay, many wondered how the system would work without the extra level of fingerprint technology. Turns out the Apple Watch a pretty clever trick to safeguard against theft. In order for the Apple Watch to use the payment system, you need both skin contact and a PIN. Once the system is on, you'll enter a PIN code to authorize mobile payments; after approved, the watch uses the four sensors on the underside to sense skin contact. If that skin contact is broken—say a sneaky magician swipes it off your wrist—that PIN code will be required in order to turn mobile payments back on. No code, no payments. It might not be quite as secure as Touch ID, as security codes can be stolen and/or figured out. But the measure shows that Apple thought things through before introducing the feature to its first wearable. We'll see whether or not Apple Pay becomes the mobile payment standard when it launches in October. 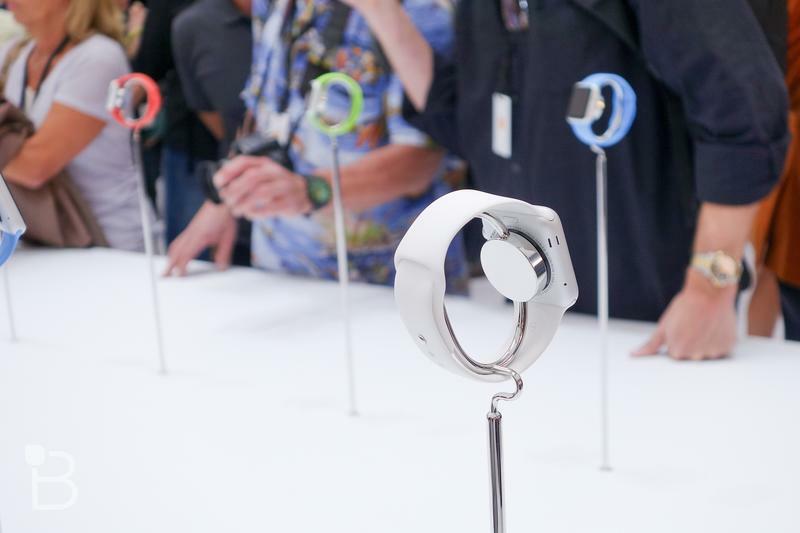 The Apple Watch is scheduled to hit in early 2015 and the cheapest model will start at $349.